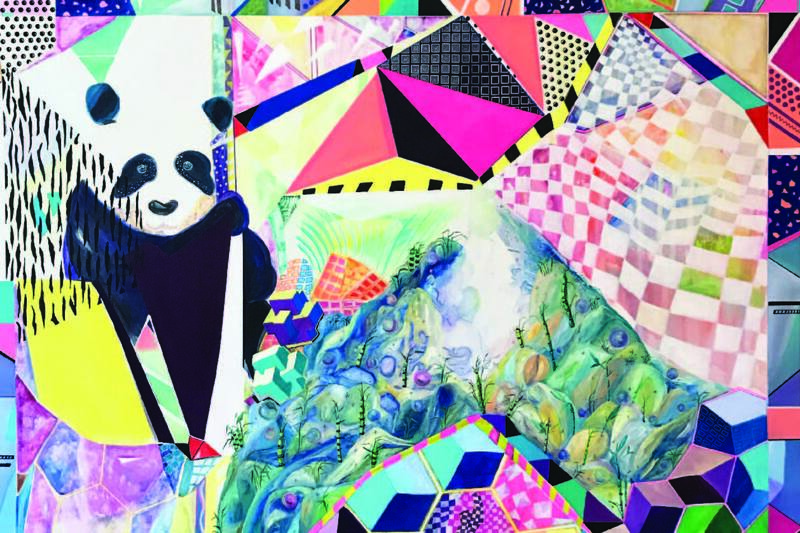 As part of Pullman Brand’s Global Art Initiative, The Park Lane Hong Kong, a Pullman Hotel, launched the Accor’s flagship “Artist Playground”, located at Ebb & Flow, which held various art exhibitions of artist from Austria, USA, China and Hong Kong. Ebb & Flow is currently showcasing British artist - Louise Soloway Chan to bring her creative vision to the world. 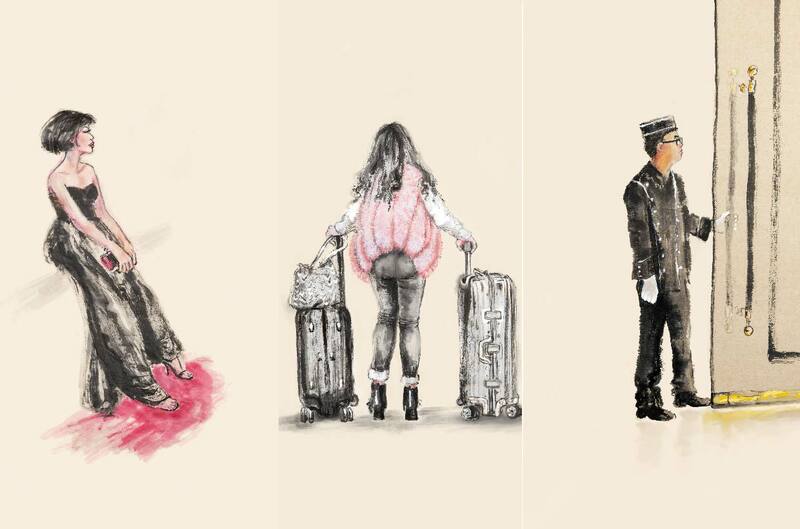 Born 1962 and educated in England, Louise Soloway Chan is a visual story-telling artist trying to capture an essence of the rapidly changing city. 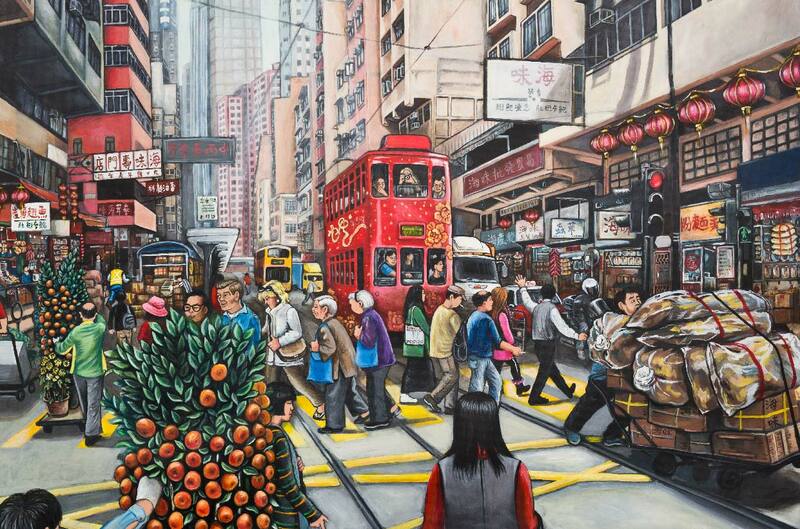 Ever since she moved to Hong Kong in 1994, Louise was constantly drawn to picture the ordinary lives: men in suits rushing off to work, helpers getting children to school, and many silent voices and invisible hands that are the life force and backbone that keeps the city functioning. She wishes people who see her artwork will be able to relate to the places and characters that have inspired, moved and tickled her. 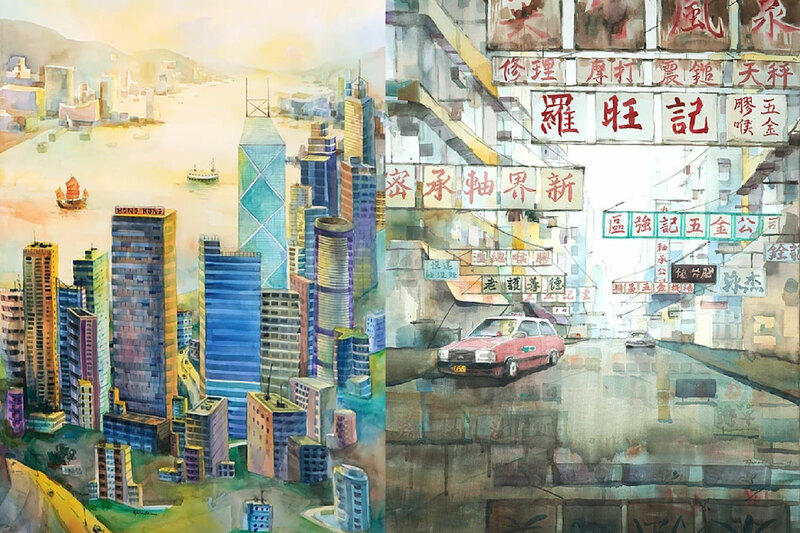 Born and raised in Hong Kong, Elaine Chiu depicts the urban lives and environments in Hong Kong through watercolour cityscapes. 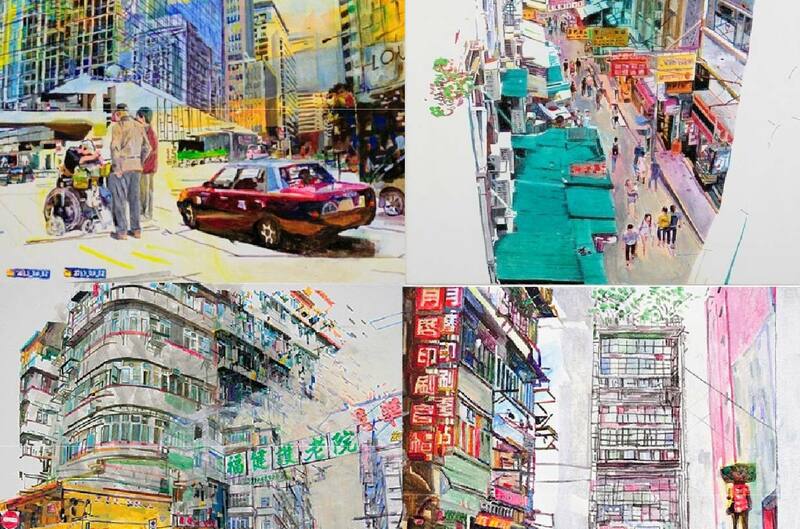 With the fluidic and transparent qualities of the medium, she captures the transience of the light and shadow in Hong Kong's unique street views. 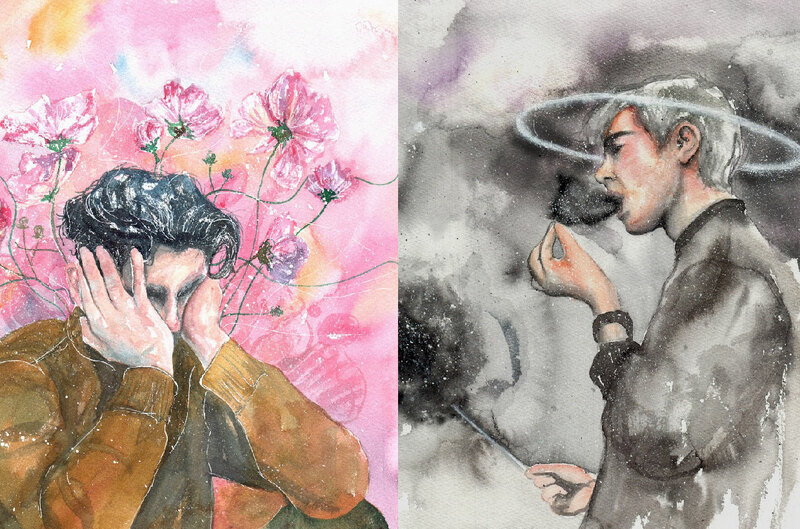 To her, painting is not only an exploration in the streets of the city but also a journey of self-searching. 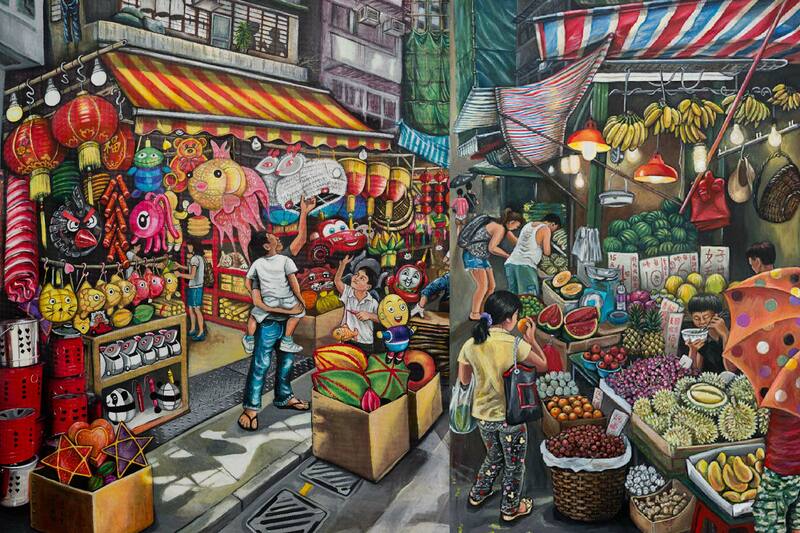 Through her art, Elaine hopes to record the street views, communities and cultures of a place she calls home. As an artist, Yan is inspired by the beauty of patterns and fascinating objects, both often seen in her artwork. What inspires Yan to paint is the idea of breathing life into an empty canvas, life created through the process of painting. Each stroke of paint she connects onto the canvas is another breath given to a new life. This satisfaction of creation fuels her passion for painting. TIK KA is a Hong Kong born artist who focuses on painting. 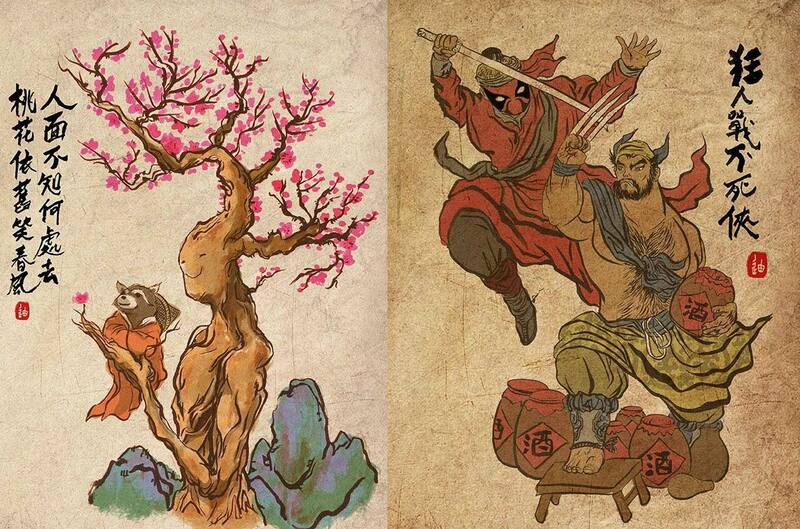 Grew up in Hong Kong in the colonial era, he is greatly influenced by the Chinese and Western cultures. Fusing the traditional Chinese characteristics with Western pop culture’s elements, his works truly bring out the spirit of “Made in Hong Kong”. Born in the 90s, illustrator Pei Chung hopes to bring out the positive energy and finds the colors of this world of grey, reconciles the negative atmosphere and brings back the joy through illustration. Now at the age of 25, Pei Chung was graduated from the Illustration department of Kwun Tong Vocational Training Center. Later, he became a full-time illustrator and held an individual exhibition, and soon successfully opened his own studio. Pei Chung has been interviewed by numerous media. His talent and work received wide recognition from clients. Recent clients include Adidas, Vidal Sassoon, L'oreal Paris, Fresh, Scotch & Soda, Triple Major, etc. Tang Ying Chi, Stella is an active artist, curator, writer and educator in the field of art. Stella obtained both DFA and MFA degree from RMIT (Royal Melbourne Institute of Technology University) in Australia and BA (Fine Art) degree from Goldsmiths College of the University of London in England. Tang received numerous Residency Awards and has held over 20 solo exhibitions and participated in many group exhibitions both locally and internationally. Her works are collected by museums, galleries, libraries, public and private organizations, individuals in Hong Kong, Australia, China and various places.